I am wearing the costume. I came up with the ideas but it's inspired by the day of the dead celebration. Paper mache covered balloon with glow in the dark puffy paint. 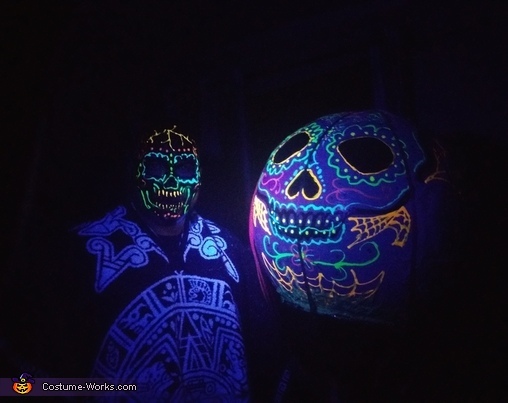 Glow in the dark puffy paint on a mask and a panco.